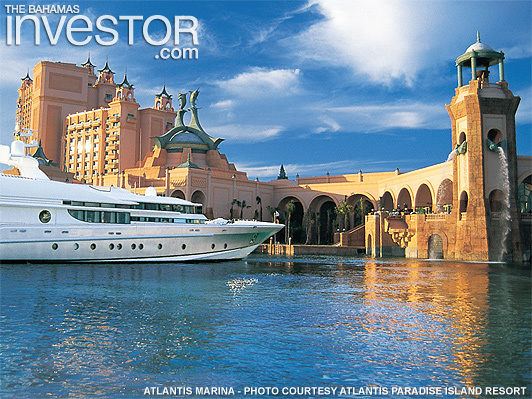 For 20 years, the iconic Atlantis Paradise Island resort has towered over the Nassau skyline. A fantastical testament to the vision of South African developer Sir Sol Kerzner (pictured), the ocean-themed mega-complex has managed to keep pace with expectations, hosting 15 million visitors since its launch, employing nearly 8,000 Bahamians, and injecting $189 million annually into the economy through its payroll alone. For a project that was initially rejected, it has proven a valuable addition to the tourism offering of this island nation. It is estimated that the resort contributes more than 15 per cent of The Bahamas’ gross domestic product and has done so for two decades. Sir Sol’s initial advance towards the Bahamian government, however, was rejected. In 1991, the South African-born hotelier, reportedly expressed an interest in investing in Paradise Island, but was turned down by the then incumbent Sir Lynden Pindling administration. However, by 1993, with apartheid obliterated, an investment by Sir Sol was accepted and the developer moved quickly on purchasing existing property and associated land. The $12-million deal with the seller, Resorts International, included three hotels with more than 1,300 rooms, a 30,000 sq ft casino, an 18-hole championship golf course, two tennis courts, four swimming pools, 14 restaurants and an airport. It also included 200 acres of undeveloped land. “The actual transaction closed on May 3, 1994, and we had to open by Christmas,” says Sir Sol, who was knighted in 2010. “There were times that we were quite concerned as to whether we were going to make it or not. It was a very, very ambitious programme. At the time, unemployment stood at 14.8 per cent, the highest level since the 1970s. The country’s foreign reserves stood at $145.9 million, the lowest level in a decade. The then government was very keen on this investment going forward, says Farrington, who Sir Sol appointed as senior vice president of his Sun International company. Tasked with developing and running the new resort, Farrington worked as the liaison between the company and the government. 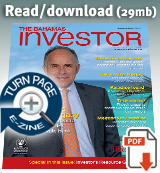 “In previous times with foreign direct investment the procedure was unwieldy and time consuming. Sometimes impediments were bureaucratically imposed that discouraged investors,” he says. However, in the case of Atlantis, the government of the day made all efforts to get the appropriate agreements drawn up as quickly as possible. The final document for the first Sun International agreement was only around 10 pages long, but it had clearly defined clauses to ensure The Bahamas benefitted directly from the project. It included elements relating to casino taxation, customs duty concessions, marketing support and requirements for Sir Sol to maximize the employment of Bahamians. Once construction started in the spring of ’94, the overhaul of the existing properties created hundreds of jobs and close to 400 new and permanent jobs when the Atlantis Resort and Casino opened in December that year. Sir Sol had created a resort unparalleled in size and scope in the region. It boasted a unique 34-acre waterscape, 423 rooms in the Beach Tower and another 652 rooms and 41 suites in the Coral Tower, making for a total of 1,116. The average room rate at opening was $122 a night. And that was only Phase I. Phase II was projected to cost an additional $250 million, but eventually came in at nearer $560 million, with the construction of the Royal Towers with 1,081 rooms and 120 suites. The waterscape was expanded by another 10-acres, the 18-hole Ocean Club Golf course was redesigned by Tom Weiskopf, and a retail centre was created, along with a 63-slip marina. In 2007, grand expansion plans continued with Phase III. The $1 billion upgrade brought on stream the 600-room Cove Atlantis; the 497-unit, Reef condo-hotel; a 14-acre dolphin habitat and education centre at Dolphin Cay; the 63-acre waterscape addition, Aquaventure; new conference facilities; the Mandara Spa and Aura nightclub. Today, Atlantis has expanded to include 141 acres of fresh and saltwater lagoons, pools and marine habitats, housing more than 50,000 animals from manta rays to hammerhead sharks. Atlantis boasts restaurants created by world famous chefs including Nobu Matsuhisa, Jean-Georges Vongerichten, Todd English and Bobby Flay. The resort is also home to a range of luxury retail boutiques, a world class casino, and the largest conference centre, meeting and convention facilities in the Caribbean region. According to Markantonis, Atlantis will continue to evolve under its new owner Brookfield Asset Management, which acquired the resort and the neighbouring One&Only Ocean Club in a debt for equity swap in 2012. Unruffled by the change in ownership, Atlantis continues to thrive and its managing director says Brookfield is “completely dedicated” to pumping capital into the property, not only to maintain it, but also to continue to upgrade the resort. That includes bringing on new attractions, food and beverage outlets and other world-class facilities. Moreover, Atlantis still has parcels of land it has not yet developed.